Hanukkah, oh hanukkah, come light the menorah! Offer your guests the complete package when you send them the Hanukkah Menorah Invitation. With fifteen lines for your event information and the eye-catching image of a classic golden hanukkiah, blazing with eight nights' worth of light, it's a great way to share your the joy. 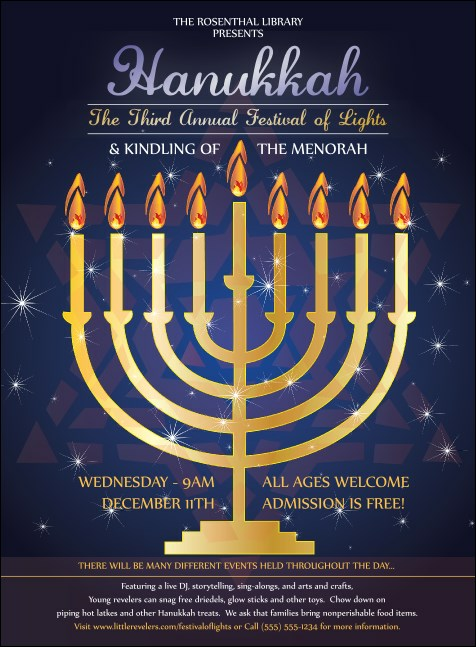 Have an enlightening Hanukkah with TicketPrinting.com.